Want more deer meat for dinner? The calendar might say we’re nearing the end of deer season, but if you follow these five steps, you can not only secure that venison meal for this weekend but also fill that freezer for happy eating the rest of the winter. I just returned from what has become an annual DDH-TV meat-making mission in west-central Illinois. Ample doe tags make for some fun gun-hunting opportunities but also maximum venison accumulation. My setup for this season was slightly different than in year’s past, but the result was the same: A pickup truck full of steaks, chops, roasts, burger and sausage. That’s a simple setup, but the difference is in the high-quality details. I’ve said this before, and it bears repeating: You don’t have to be a world-class shooter to become a deer-hunting machine. In fact, the most successful deer hunters are those who develop proficient shooting skills, and then use their woodsmanship and knowledge of deer anatomy to do the rest. 1. Study whitetail anatomy and know your exact limits when hunting. If your slug gun only shoots tight groups out to 75 yards, don’t shoot beyond that range. Furthermore, knowing where your bullet/arrow will hit is the first step to becoming “automatic.” Obtain anatomy charts and study how a deer’s internal organs are positioned when the animal stands at various angles. This knowledge will result in clean kills and short blood trails. 2. Strive for placing your centerfire rifle bullet or shotgun slug through the scapula (shoulder blade) of a deer. A bullet shot into a whitetail’s scapula will drop the animal instantly. Death is almost always immediate, with post-shot reactions typically involving involuntary movements of the nervous system. 3. Use soft, rapidly expanding bullets when gun-hunting. Pinpoint shot placement can make nearly any of today’s commercial bullets drop a deer in its tracks every time. Study bullet design well before hunting season and test-fire several different styles. Find one that groups well out of your gun, and stick with it. 4. Use the best optics you can afford. 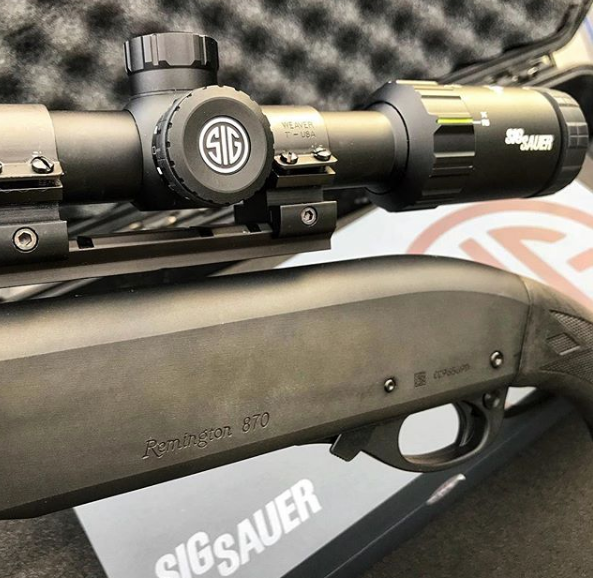 A slug gun is no different than a long-range rifle: You are only going to be as accurate as the scope allows. Skip the bargain optics; they will work fine for a season or two, but the punishment levied by a slug gun will wear them out quickly. 5. I’ve long preached on the shoulder-blade shot, but if that doesn’t present itself (and you want to save a few pounds of ruined meat) insist on taking the quartering-away shot as a reliable, deadly option. Watch the video below, and you will see what I’m talking about. That big doe wasn’t going to stick around for long. After she worked that licking branch, she gave me a brief, albeit wide open, shot as she walked away. Just like in bowhunting, the quartering-away shot allows for a greater margin of error than any other shot. This will be classified as a challenging Iron Man Hunt because you’ll be hunting non-stop, day and night (yes, you will get some sleep). You’ll be hunting big whitetail bucks and a doe during the day, and the invasive Axis Deer buck and doe at night or day if needed. You’ll also have opportunities for Feral Hogs, Predators or Varmits, days or nights. Don’t enter to win this hunt unless you want the hunting experiences you’ll never forget as long as you live. You’ll have some exciting stories to tell your friends and family about. This hunt will be with Real Outfitters in TX. This will be our 3rd trip winner hunt with them and they never disappointed our previous trip winners that have gone there to hunt. The winner can keep all of the meat they want or Real Outfitters will donate the meat to local programs feeding the hungry. 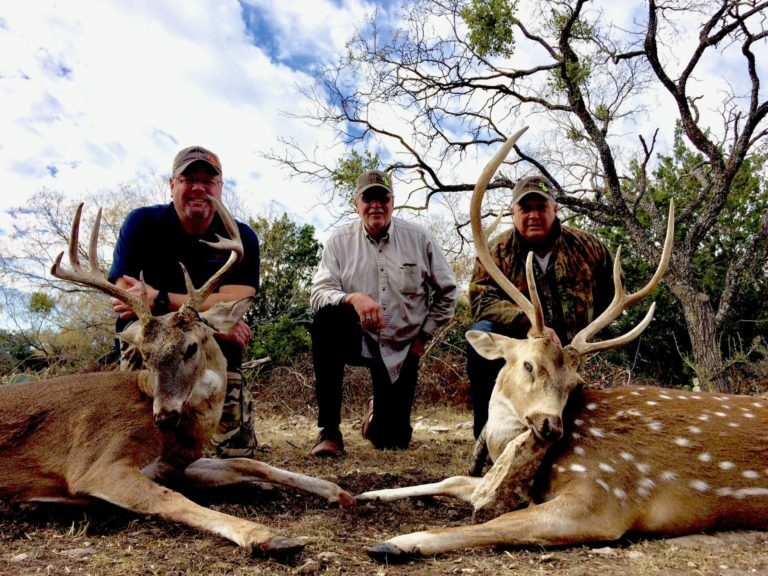 This hunt will be taken January 2 – 6th and food, lodging and guides are included. This hunt will be filmed by USOC Adventures TV Show and air between January – June of 2019 on the Pursuit Channel. Airfare will be provided by the Pursuit Channel.